Recommendation: Reincarnation, love / revenge, mythology - all packaged with the heavy dose of horror constitutes this wonderful film. 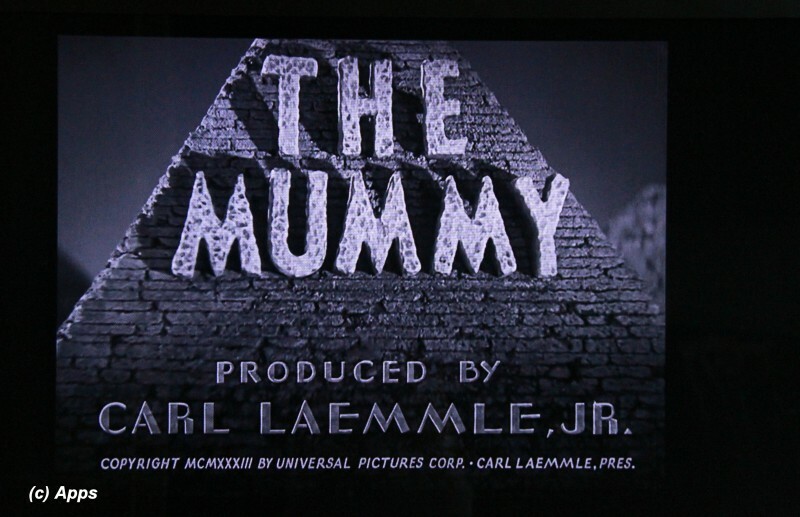 The Mummy is a 1932 American horror film under the banner of Universal Studios. The primary plot revolves around an Egyptian mummy who is accidentally brought back to life and is now in search of his lost love. 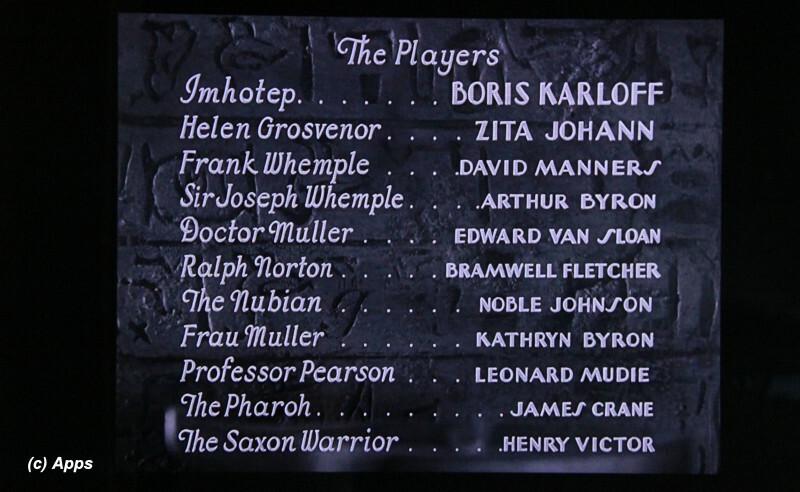 It stars Boris Karloff, Zita Johann, David Manners, Edward Van Sloan and Arthur Byron in key roles in the film. I am not huge on horror films but The Mummy series, The Scorpion King Series and The Underworld Series are a few of the horror films that I have watched without cringing or feeling the fear. And thus me choosing to watch the original film and it's review. A very short 73 minutes film had garnered much fame and fortune for the director and the studios to set a certain stage for future films. This film pioneered the many more films that would come in future based on the plot with sequels, prequels and spin-offs along with remake of a series. Amazing that one little long-ago made horror film could beget so many successful movies in future. I had to watch this original film when it was airing on Turner Classic Movies just to see how they did it back then. In 1921 a British archeological expedition led by Sir Joseph Whemple (portrayed by Arthur Byron) finds the mummy of ancient Egyptian high priest of the Temple of the Sun at Karnak called Imhotep (portrayed by Boris Karloff). 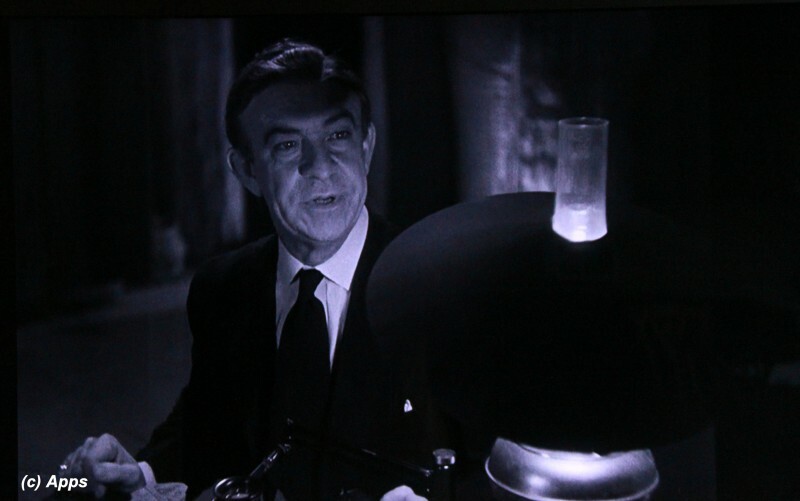 Sir Joseph's friend Dr. Muller (portrayed by Edward Van Sloan) finds that the viscera of the mummy were not removed indicating that he was buried alive. Despite warnings by Dr. Muller and Sir Joseph, Ralph Norton (portrayed by Bramwell Fletcher) reads out loud the scriptures etched along the mummy's case, inadvertently giving life to the Mummy/ For, Ralph had read out the ancient life-giving scroll, the "Scroll of Thoth". 10 years later Sir Joseph Whemple's son Frank Whemple (portrayed by David Manners) and Professor Pearson are commissioned by one Ardath Bey for an archeological dig in Egypt to find Ankh-es-en-amon's tomb - the lost love of Imhotep. Who is this Ardath Bey? Why is he interested in Ankh-es-en-amon's tomb? What will Frank and his team find? And that is what, my readers, is the rest of this interesting plot entwined with mythology and horror together. The scream that Ralph Norton utters after seeing the mummy alive sends a shiver up the viewer's spine, for until then the viewer doesn’t realize how horrific a mummy could look when alive. Even then the director doesn’t show the face of the mummy once it starts walking, but only the expression on Ralph's face that heightens the fear factor for the viewer. Brilliant depiction. The slow music that approaches whenever Imhotep is shown makes the plot more sinister. Zita Johann looks as exotic as an Egyptian Princess and perfectly suited for the role of both as Princess Ankh-es-en-amon as well as Helen Grosvenor who eventually becomes love interest to Frank Whemple. I am not sure any other actress from that era would have fit so well. It clearly is shown that Helen is a reincarnation of The Princess by the way she craves for ancient Egypt and old scents. Perhaps it suited her the best because in reality actress Zita believed in reincarnation and communication with dead which is the core concept of this plot. As for Boris Karloff, he didn’t need any introduction at all, for he was already the famous Frankenstein who lived the part well. And as the Mummy he even lived it better. Although the plot is powerful filled with mythology, reincarnation and revenge/love packaged together, there are some clear editing issues. 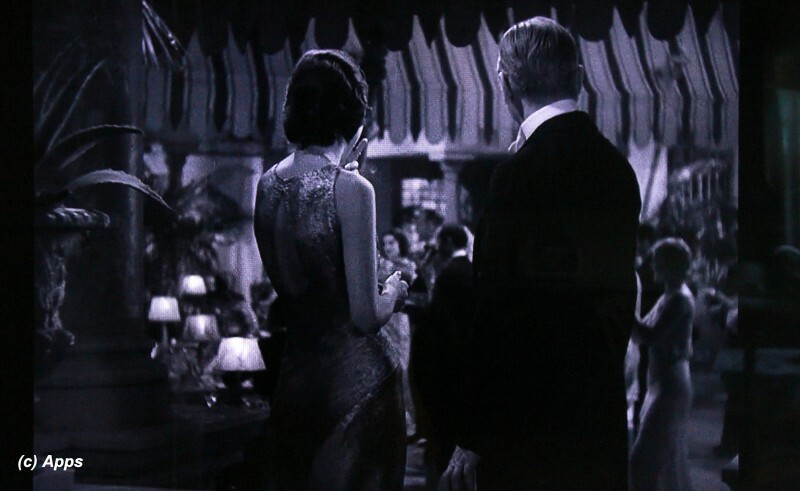 For instance, Frank calls Helen and asks her not to leave the hotel until he arrives. But yet, in a subsequent scene we see her going out and meeting Ardath Bey without any preamble. There are scenes that show Helen being treated but are shown in a random fast forward manner that it took me a few minutes to realize that the time period had changed and the scenes were actually connected. Despite these errors the screenplay is at its best. No wonder it would be since the screenwriter, John L. Balderston, had covered the opening of King Tut's sacrophagus by Howard Carter in 1925 for the New York "World" and he replicated his experience here very well. I enjoyed the movie very much even though it is a horror. And can't help but compare to the 1999 remake. A well-made horror movie that certainly set a stone in the classic movies and a step for the future movies to climb on and prosper. Worth watching the original one to know where the remakes have come from. a. First-off they are titled as "The Players" alluding to the old practice of mentioning the cast in a theater or a play. b. The word "Pharaoh" is mis-spelled as "Pharoh"
c. Henry Victor is credited to playing the role of The Saxon Warrior. But I couldn't find him anywhere in the film. 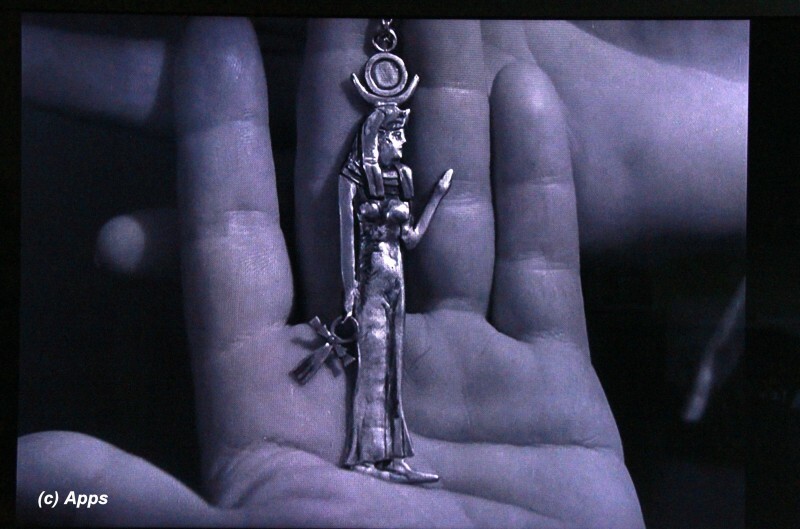 And Wikipedia mentions that his role was originally part of a long flashback sequence showing all of Helen’s past lives from ancient Egypt to the present. 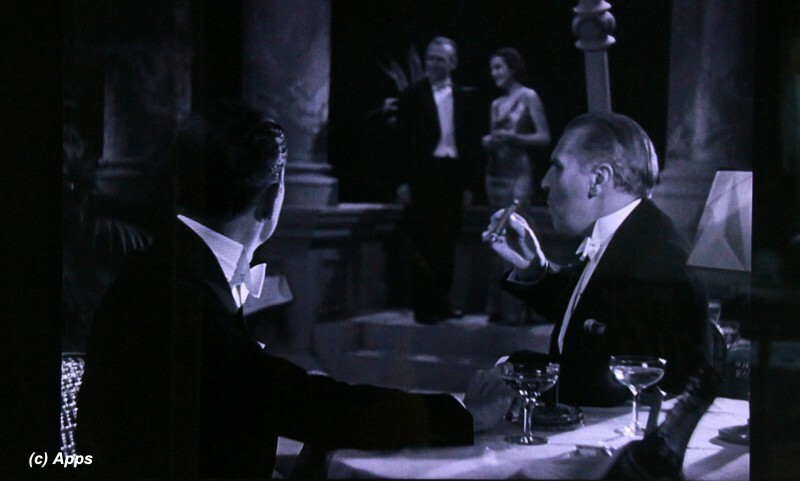 The sequence was cut from the film by Karl Freund due to time. How sad. Would have liked to see the flashback too since it makes more sense now that I read about it. 2) Sequels, Prequels, Series / Spin-offs and Animated Series stemmed from this film: I have watched a few of these in the list specially the ones that came since 1999.
a. Sequels: Not official sequels but a series stemmed out of this film in the 1940s and 50s by Universal Studios. i. 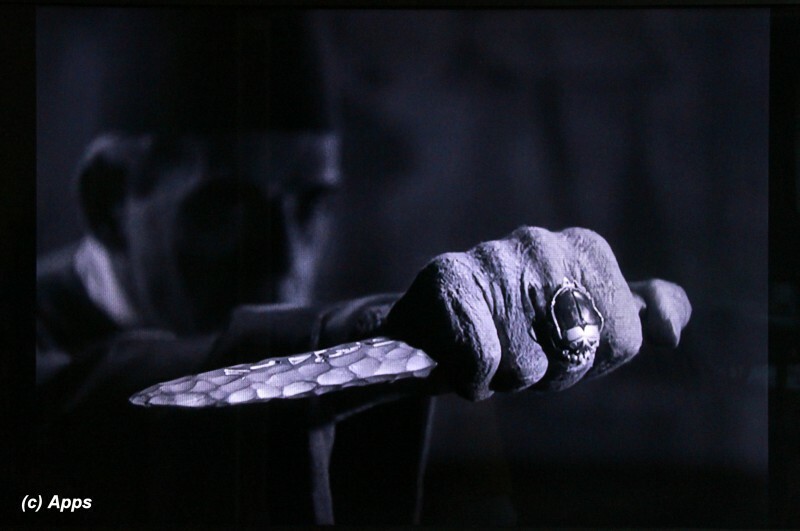 The Mummy's Hand in 1940 and it's sequels The Mummy's Tomb in 1942, The Mummy's Ghost in 1944, The Mummy's Curse in 1944, and the studios' comedy-horror crossover movie Abbott and Costello Meet the Mummy in 1955.
b. British Hammer Film Productions series - These movies were based on the series made by Universal Studios. c. The Mummy Franchise: Universal remade the series again between 1999 and 2008 based on the original 1932 film. i. The Mummy in 1999, The Mummy Returns in 2001 and The Mummy: Tomb of the Dragon Emperor in 2008.
i. The Scorpion King in 2002, a prequel The Scorpion King 2: Rise of a Warrior in 2008, and two sequels, The Scorpion King 3: Battle for Redemption in 2012 and The Scorpion King 4: Quest for Power in 2015.
e. Animated Series: Animated series titled The Mummy ran from 2011 thru 2003. 3) Arthur Byron who portrays the role of Sir Joseph Whemple reminds me of some other actor so very familiar but I am unable to place the name to that face. I checked to see if I had seen any of Arthur's films and this is the only one so far I have watched. I wonder who would that other actor be. 4) Note that "Ardhath Bey" the name Imhotep assumes after becoming alive is an anagram of "Death By Ra" - Ra being the Egyptian Sun-God. 5) Imhotep is shown to wear a ring looking like a beetle. Perhaps this is what gave the future movies the idea of beetle being one of the ammunition that the Mummy uses to kill people. I clearly remember one scene in the 1999 movie Mummy where a man is killed by thousands of beetle stamping over him and is literally eaten by then. How horrific it was that I shudder even now thinking of that scene. b. The film was released in December 22 1932. However in the opening credits under the title it bears a 1933 (MCMXXXIII) copyright statement. On IMDb it was mentioned apparently it was because the title credits were designed in advance, in anticipation of a later release. c. Sir Joseph Whemple when answers a phone, says "hello" but his lips are not seen moving, just the voice heard in the background. d. Helen is shown holding a cigarette in its holder and smoking it in one scene and the very next scene she doesn’t have anything in her hand nor she is smoking anything. A complete cinematographic miss. e. When Dr. Muller shows Frank the Isis charm again in the car later, the close-up shot is a reuse from earlier shot. It is very clear since the longer shot in the car doesn’t match the way Dr. Muller is holding the charm.